Saturday April 20th from 9am -11am. 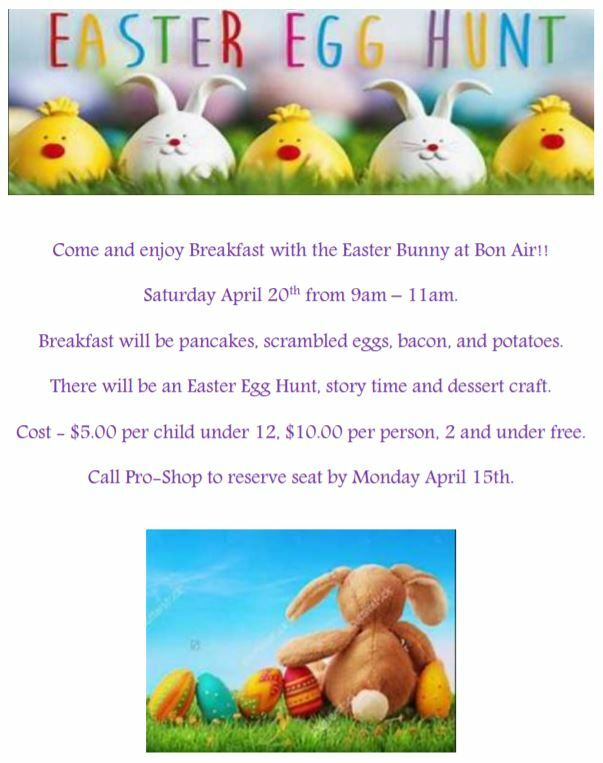 It’s soon time for the Bon Air Easter Egg Hunt! Come and enjoy Breakfast with the Easter Bunny and then hunt for Easter eggs. When calling to make reservations please notify the Pro Shop of the age group your children fall under. Please bring Easter Baskets for the egg hunt.